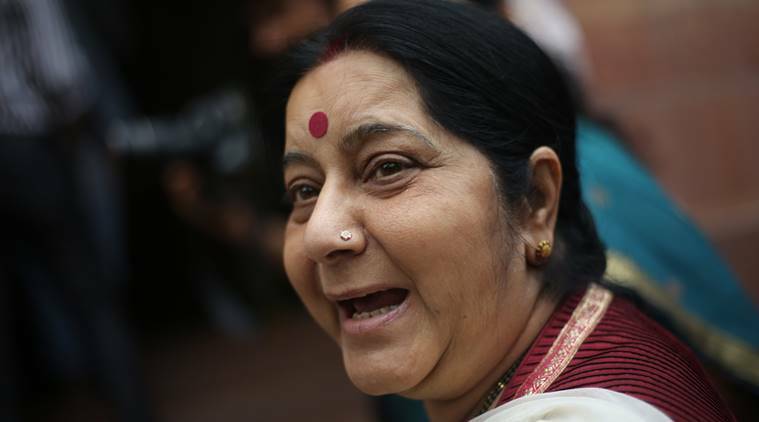 Swaraj, who was in Kathmandu to attend the BIMSTEC ministerial-level meeting, spent a substantial part of her two-day visit with Nepali actors including Deuba. The message she tried to convey was India wanted a constructive engagement with Nepal and erase the image of an “external micro-manager”. Swaraj told Deuba that Prime Minister Modi was eager to welcome him in India. Her advice to the Madhesi leaders, all of them from the Rastriya Janata Party, which is now unhappy with both Delhi and Kathmandu, was to participate in the local bodies poll that is to be followed by elections to the provinces and the federal parliament between mid-September and late January next year. Deuba said these elections will be crucial milestones — proof of the execution of the constitution that India officially has only “taken note of” and not welcomed. The participation of the RJP in the election at India’s behest marks a reversal of its earlier policy of poll boycott, which too was backed by Delhi. Delhi’s change of course on the Madhesi stance could be a tactical decision and not a complete rejection of its previous stand. It may have been influenced by the stand-off with China and the realisation in Delhi that the unprecedented level of anti-India feeling in Nepal could become counter productive. The Indian stance on the constitution and the economic blockade that followed the Madhesi protests after September 2015 are the two issues that created the anti-India feeling in Nepal. The crisis also allowed key Nepali actors to push through the hastily prepared constitution without following due process. Less than 20 months after the statute was promulgated, the CPN (Maoist Centre), the second largest party in the ruling coalition and the third largest group in parliament, fears that the Nepali Congress headed by Deuba and the main Opposition, the CPN-Unified Marxist Leninist, may gang up to restore the monarchy and Nepal’s Hindu nation status. “If they get a chance, they will bring monarchy back. But they will first declare Nepal a Hindu country again,” CPN (Maoist Centre) head and former PM, Pushpa Kamal Dahal said recently. The development indicates the growing distrust among the ruling coalition partners, the Nepali Congress and the Maoists. Dahal’s apprehensions may also have to do with Deuba’s India visit next week and Delhi’s visible rollback of its support to the radical agenda of forces like the Maoists. During their visits to Delhi prior to the promulgation of the constitution, both Dahal and Deuba were advised by senior BJP leaders and authorities in the government to at least avoid mentioning Nepal as a “secular country” if restoring the “Hindu status” was not immediately possible. The CPN (Maoist Centre) had vetoed such a move. But with radical political parties and their agenda losing public support, and India reluctant to patronise them, Nepal’s politics and constitution may be in for big changes. The Nepali people were denied a role in “deciding” crucial issues, including whether the country should stay with the monarchy or opt for republicanism, adopt federalism or a decentralised unitary system of governance, turn secular or continue as a Hindu state. This is the singular reason for the people’s lack of ownership in the current constitution. Much of the radical agenda originally belonged to the Maoists, but was adopted by the leaderships of the Nepali Congress and the Madhesi groups when all three outfits got to share power after 2006. The period after the adoption of the radical agenda saw Nepali political actors and Indian babus micro-managing Nepal’s politics. This phase destabilised Nepal and cost India the goodwill it used to command. Swaraj also met Madhav Nepal, former PM and leader of UML, a party perceived to have pushed Nepal into China’s lap when its chief K.P. Oli was the PM. Both leaders agreed that there was a great need to dispel the “misunderstandings” that cloud the bilateral relations. For that to happen, India will have to persuade the top Nepali political actors — the Nepali Congress, Maoists, UML and Madhesi groups — to review the radical agenda they adopted under India’s mediation in November 2005, and involve people directly in settling the issues once and for all. If India asks for a larger role for Nepali people in shaping the political course and the constitution, not only will the political process and the statute gain in credibility but a fair amount of the negative feelings towards India will also be dispelled. If Swaraj’s outreach is the sign of a new beginning, Nepal-India relations can hope to be on the right track in the near future.